Manchester United legend Roy Keane has said that the Red Devils have nothing to be concerned about, should Paul Pogba make way from the club at the end of the season. The France international has endured another difficult season with the Red Devils and he has most recently been an unused substitute in back-to-back league matches. 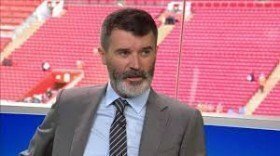 Owing to this, there has recently been the increased speculation of him leaving the Mancunian giants but Keane believes this would not affect the balance of the United side. "I don't think they'll do anything with Pogba in January but come the summer you move him on and it's no big deal, he's left Manchester United before," he is quoted as saying by Sky Sports News. Pogba has recently been linked with a potential return to Juventus and it remains to be seen whether United would entertain the prospect of a mid-season sale for the 2018 World Cup winner.